What is Going on in the Lab? I wrote about it, here on the blog, last week. I mentioned I was a little dissatisfied with the silly thing. B. 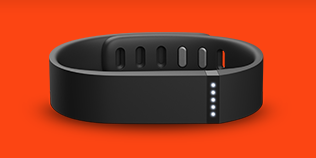 One cool feature is that it tracks your sleep. But, half the time mine didn't work. C. It turned into a $100 pedometer. Now, on to the LAB!!!!! And, yes, those are children standing on the table tops. How else were we supposed to launch a parachute? For the record, the ones made of tissue paper worked best! 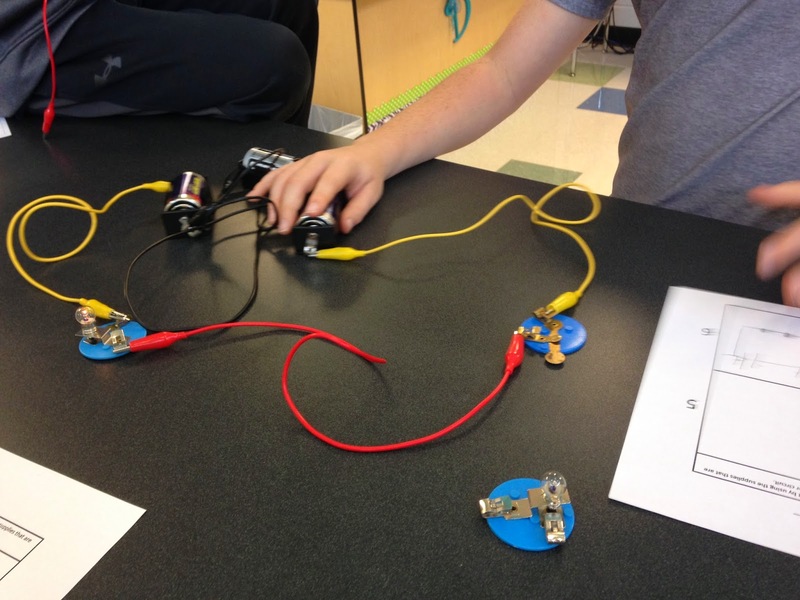 They also had to build a circuit with given supplies, including switches and buzzers, and then draw the schematic. Pretty fun! did you know that if you hook one bulb to FIVE batteries that the bulb will explode? Don't ask me why I know that! 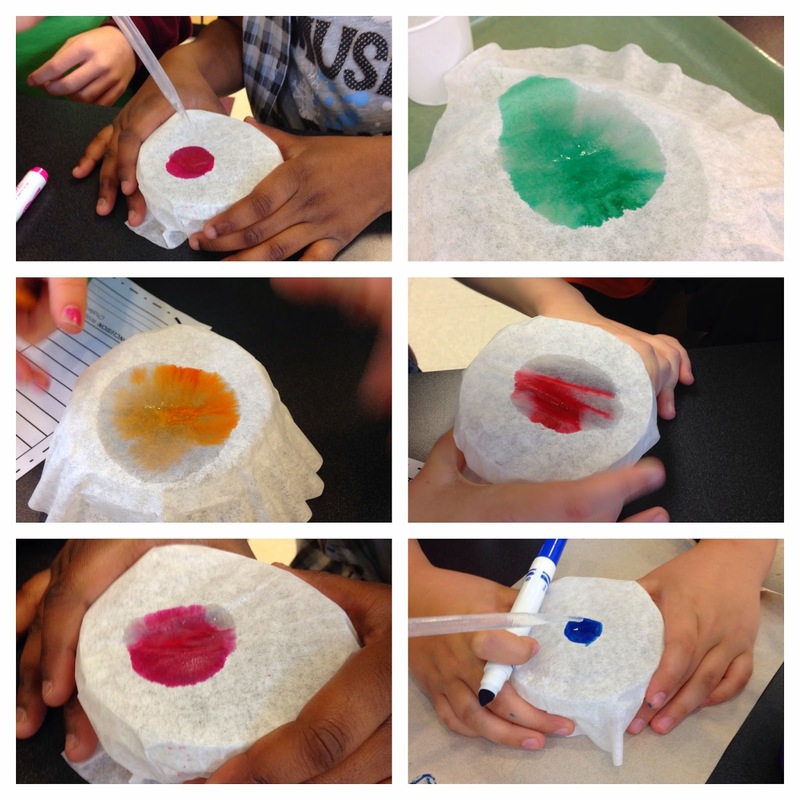 Kids tested markers to separate the ink colors. It was really neat to try the black markers. We tried six different brands. Do you know what colors are inside black markers? Some pretty creative designs. 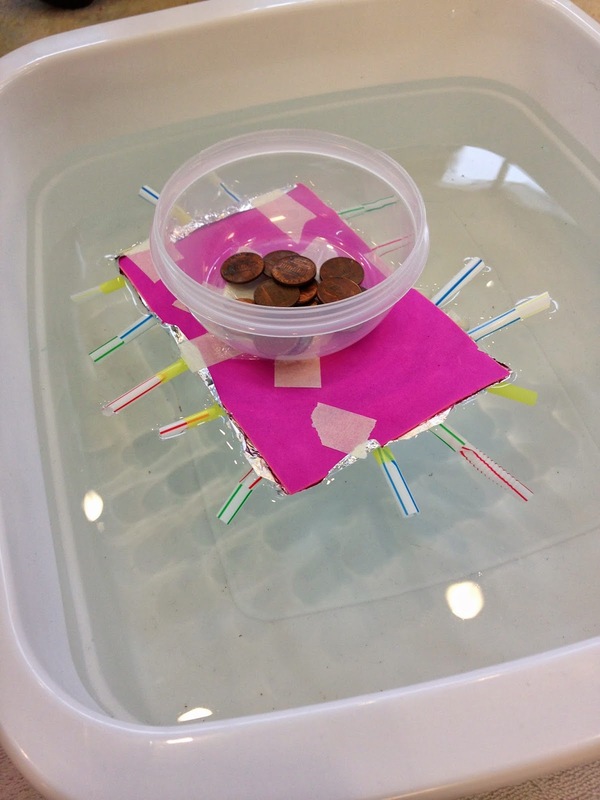 Our record for the number of pennies a boat could hold is now 68! 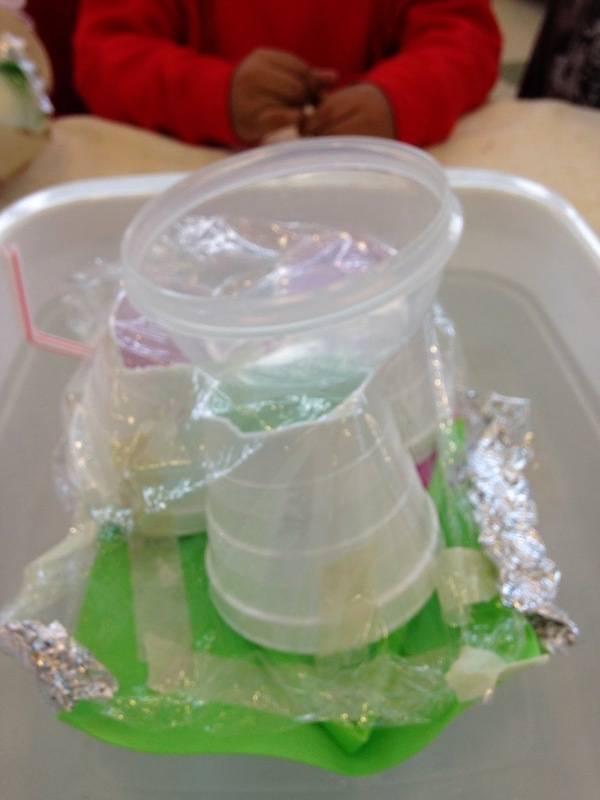 AND ....Building Boats is now our FAVORITE STEM activity! Have a great rest of your week!! 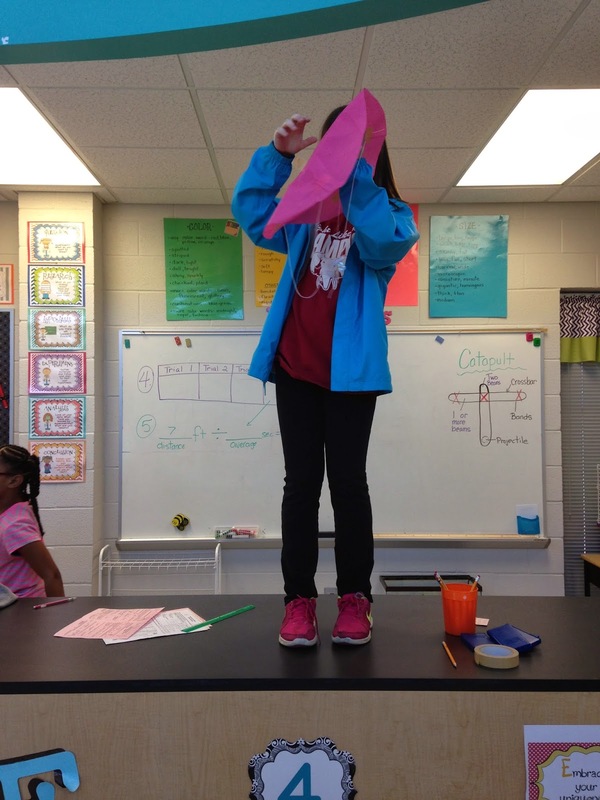 I let kids stand on tables even when we aren't testing out parachutes. How else are we going to sing to them for their birthdays if they aren't standing on the table? Lol! I want to be a student in the lab. You guys have been busy this week. I'm glad to know that five batteries will make a bulb explode. 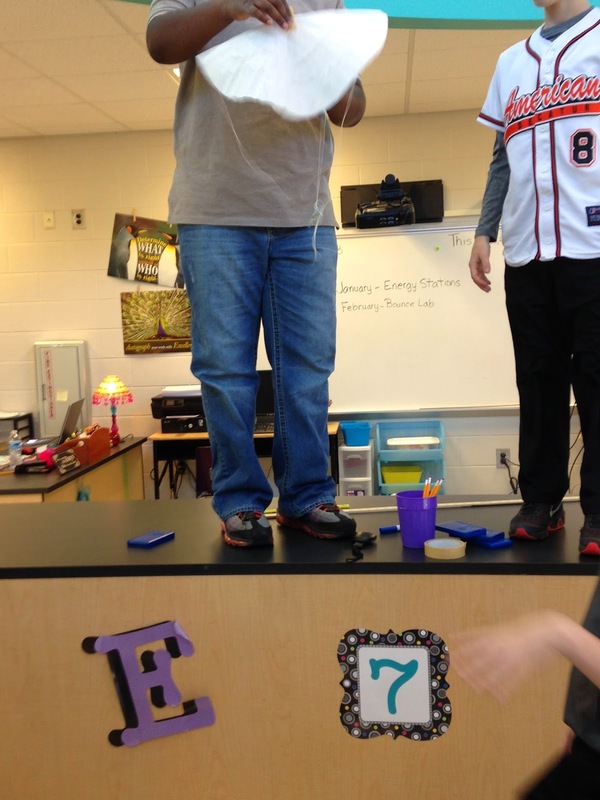 I've got the kiddos that would push the limits to make that happen and then the other 5th grade teachers would be after me for letting all the bulbs explode...haha! Happy almost weekend! We are having a super time in the lab! SPRING BREAK NEXT WEEK!